Yi Yun felt regret. Being interrupted while being in a state of learning was extremely uncomfortable. If he could have stayed a little longer, like another two hours, he would have gained a lot. Thinking about it, even an additional day would not be enough! Yi Yun looked at the three-headed beast sculpture and coveted it greatly. This Wilderness Divine Hall is indeed the cornerstone treasure of the Tai Ah Divine City. When will I be able to come in again? Beside Yi Yun, several youths felt as if they had been fished out of the water. They were soaked in sweat. Some of them didn’t have any strength left and laid sprawled on the ground, without any consideration of their current bearing. For these proud sons of heavens, if they had any ounce of strength, they would have braced themselves to stand up. To lay on the ground like a dead dog meant that they were at the end of their limits. Many wanted to give up midway and leave the Wilderness Divine Hall. But they knew that the chance to cultivate within the Wilderness Divine Hall was an extremely precious chance. They could not waste these two hours, because the next time they wanted to enter, they had to pay dragon scale runes! This price would definitely not be cheap! This was obvious. The Tai Ah Divine City had so many people, who didn’t want to learn from these six primordial species’ sculptures? With so many people lined up, how much time could a person get? Under such circ.u.mstances, to give up halfway, not only was that making light of the heavenly treasure, but it would also make the bald man look down on them. They might even be blacklisted. Hence, no matter how uncomfortable it was, all of them endured through it. Different from the rest, Yi Yun’s body was filled with pure energy. This energy naturally came from that primordial species’ statue! Just before this, Yi Yun was in a meditative state. Under extreme concentration, his body had only absorbed a tiny amount of the energy from the primordial species. There was still a lot he did not manage to absorb. Yi Yun shook his head. He had been trying to gain insight into the nomology, and could not care about anything else. He could not take time to digest the primordial species’ energy as it needed both time and his mental resources. If he did so, there would not be time left for gaining new insight. The time in the Wilderness Divine Hall was too precious. He could just swallow down without chewing the primordial species’ energy and digest it later. But since he had not fully absorbed it, Yi Yun’s body could grow stronger from the energy’s nourishment. At this moment, many were staggering but Yi Yun felt full of energy. He casually wiped the sweat of his brows. Due to being fully concentrated trying to learn, Yi Yun had been sweating a lot. “Hehe, are you hot? To sweat that much&h.e.l.lip; but, you can be considered quite good. You surprised me by standing all the way to the end.” As Yi Yun was wiping his sweat, a voice sounded out behind him. Yi Yun turned around and the originator of that voice was naturally Zhou Kui. Zhou Kui had actually expended a lot of energy, but he had forcibly gathered enough Yuan Qi, allowing him to maintain his bearing and good image. He returned to his trademark move by crossing his arms across his chest and stood with his feet apart, as if he was saying, “It was easy for me in the past two hours”. In fact, for Zhou Kui to be able to maintain such a stance was already very good compared to the others. To Yi Yun, Zhou Kui was in a forced pretense, strong only in appearance but brittle inside. 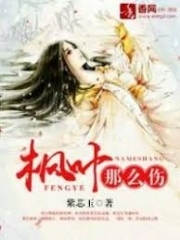 Yi Yun speechlessly glanced at Zhou Kui and could no longer be bothered with him, nor the interest to setback Zhou Kui. This was not because Yi Yun was staying aloof with the rest of the world, but ever since he came to the Tai Ah Divine City and saw the Yuan foundation realm geniuses, Yi Yun’s horizons had been broadened. With his horizons broadened, he had seen a wider world, so Yi Yun became even more ambitious. Zhou Kui was no longer a compet.i.tor to Yi Yun. His target was those who had stayed in the Tai Ah Divine City for three to four years. These people were Yang Qian, Yao Dao, and even Luo Huo’er and Qin Haotian! Yi Yun’s goal was to chase up to these people and, in the shortest time, break through into the Yuan foundation realm! Yi Yun walked out of the divine hall’s main door. This place was too wondrous. By leaving this place, Yi Yun felt a sense of regret. “Brother Yi, are you alright?” When Yi Yun left the Wilderness Divine Hall, a plump youth said with a pant. He was Xu Zheng who Yi Yun got to know on the way to the Divine wilderness. At this time, both his hands were on his knees and his face pale. It looked like he had expended a lot of energy. “I’m fine” Yi Yun waved. Actually, his temples were aching. Although his body was filled with energy, Yi Yun had consumed a great deal of his mental facilities. Using the Purple Crystal to absorb the energy from the primordial species sculpture was not easy. Due to the Great Yan gold seal and the fact that Yi Yun’s level was very low, it was difficult to manipulate the primordial species’ energy. Just like a child swinging a sledgehammer would find his arms sore after a few swings. Yi Yun had endured through that for two hours, so his mental facilities had been greatly taxed. And to understand the truths from the sages was a big test on Yi Yun’s soul. “Brother Yi, you sure look relaxed. Look at the surroundings.” Xu Zheng patted Yi Yun on the back as he pointed around. Many were in bad conditions. For example, Song Zijun was pale in the face. At this moment, he could not greet Yi Yun and was meditating, trying to regulate his breathing. Many others were experiencing similar outcomes like Song Zijun. Xu Zheng was considered quite good. The bald man had his arms crossed and stayed silent as he waited for the people to regulate themselves. Although exhausted, some of them were excited. Some even had a bit of Yuan Qi, and to demonstrate their resilience, they formed groups to discuss the gains from earlier. “It was indeed challenging. As expected from the cultivation ground built by the first city lord of the Tai Ah Divine City. In the two hours of cultivation, I felt that my spirit grew stronger by a lot!” A Xuanwu Army member said with a pant. Although he was dog-tired, his face was smiling, giving a “I still have energy to spare” look. These rookies tried to top each other by bragging and making themselves look fat by slapping their own faces. These people who made the statements were mostly Xuanwu Army members. It had to be said that the Xuanwu Army was specialized in strength, hence their resistance under pressure was stronger than Jin Long Wei members. Many Jin Long Wei members did not even have the strength to speak, so they could not fake it even if they wanted. For a moment, the Xuanwu Army overshadowed everyone else. They intentionally wanted to show off in front of the bald man to prove the strength of the Xuanwu Army, and also their personal strengths. If they impressed the bald man, there would be benefits for their future development. The bald man stroked his chin as he smiled while watching these thirteen-year-old kids act. He had an obvious scar on his face. Due to his smile, the scar distorted and looked like a wriggling small snake. Yi Yun noticed this and felt a sense of foreshadowing. This bald man’s smile seemed malicious. Yi Yun a.s.sessed quietly. This smile seemed like something he had seen before. In his old world, while he was in school, there would be some cla.s.sroom teachers with such smiles. Every time he saw such a smile, Yi Yun would feel cold, because it usually meant a ton of exercises and a.s.signments were to follow. “Was the training good?” the bald man said smiling. “Reporting to Instructor Qin, we are doing well! !” Zhou Kui made a standard bow with his voice being ear-deafening and powerful! Armies were particular about fighting spirit, so whether it was to report the current strength, shouting commands, or replying to superiors, the voice had to be shout, loud and powerful. Yi Yun gave Zhou Kui a sympathetic look. This kid with muscles for brains probably did not know what was awaiting him. “Nothing much, just some basic training, such as weighted squats, frog jumps, bayonet drills, etc. It will be very relaxed.” The bald man said with a casual tone. Upon hearing it, Yi Yun’s expression turned off, “basic” training? Very “relaxed”? “Oh so it’s basic training, great!” Zhou Kui agreed immediately. Although he was exhausted, he still had some strength left to undergo basic training. Zhou Kui’s situation may be better, as for all the other Xuanwu Army members, they all consciously gulped down a mouthful of saliva. In their current states, it would be quite tough to do basic training. “It’s alright, there are people worse off than us!” A Xuanwu Army member motioned towards Yi Yun, Song Zijun and others with his eyes. When humans were chased by tigers, they did not need to run faster than a tiger. It was sufficient to run faster than the slowest man. With this in mind, the Xuanwu Army members were relieved. They followed the bald man, ready to head towards the Tai Ah Divine City’s school grounds. 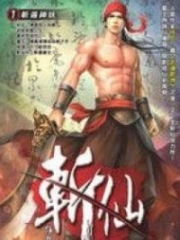 You're Read True Martial World Chapter 165 - We are doing good online at NovelOnlineFull.com. You can use the follow function to bookmark your favorite novel ( Only for registered users ). If you find any errors ( can't read,broken links, can't load photos, etc.. ), Please let us know so we can fix it as soon as possible. And when you start a conversation or debate about a certain topic with other people, please do not offend them just because you don't like their opinions. You're reading True Martial World. This manga has been translated by Updating. Author(s): Cocooned Cow,蚕茧里的牛. Already has 9169 views. Current Time is 24-Apr-2019 00:00:30 AM.